Dark matter is matter that does not give off any light, but is detectable by its gravitational pull on other matter. It was first discovered in the 1970s in studies of spiral galaxies, whose outer regions rotated too fast only to be driven by the visible stars and gas in those regions. Astronomers reasoned there must be more mass that is unseen. Decades of galaxy observations have shown that almost all galaxies contain huge quantities of this "dark matter," and that, in fact, there is about five times as much dark matter as there is normal, visible matter in the universe. However, a few recent studies have indicated that some galaxies don't follow the same pattern as the "dark matter-rich" galaxies found since the 1970s. These studies showed a handful of galaxies seen around 10 billion years ago do not contain the expected quantity of dark matter. This could mean that galaxies at that time didn't have much dark matter but gained it later, at some point in the past 10 billion years. If that's the case, it would challenge our fundamental understanding of how galaxies form. 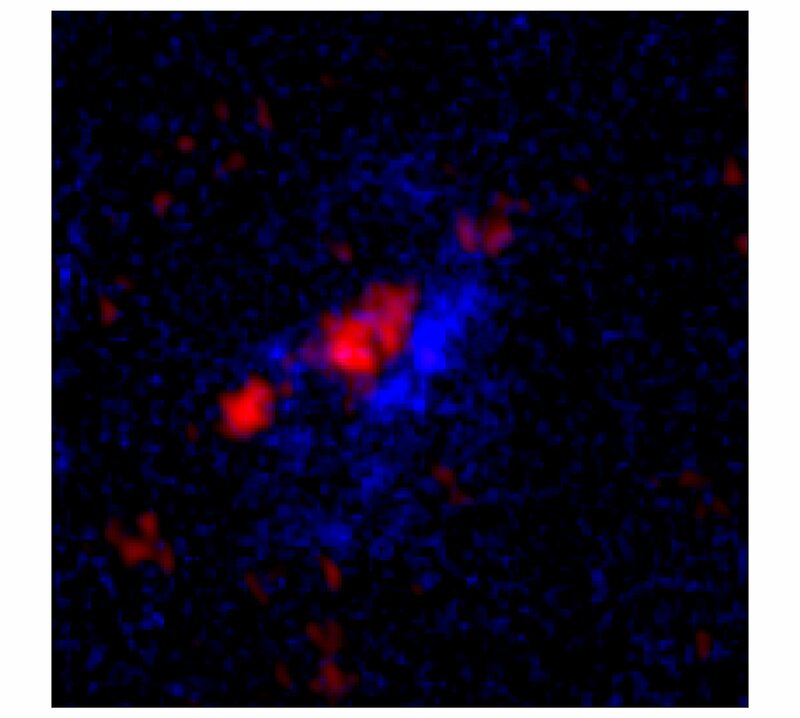 Now UT Austin graduate student Patrick Drew and his advisor, professor Caitlin Casey, have found a very distant galaxy that appears rich with dark matter, exactly as expected from long-held theory. Because this galaxy is 9 billion light-years away, it tells us that some galaxies do already contain quite a bit of dark matter in the distant past. The serendipitous finding appears to contradict the other controversial findings of galaxies with little dark matter content.